Several great, but now well known, employee benefits have improved the lives of my family. My husband and I both have the potential to travel for our jobs. As a consultant, my husband may be on the road every week in a different city. Whereas I may travel once or twice a year, but it’s most likely going to be outside of the United States. This year, an opportunity came up for me to travel, but my husband was already booked to travel too. Now we wondered, who would stay to take care of the kids? Rather than pass on the work travel opportunity instead, my husband took advantage of one of his employee benefits, emergency dependent care. His job offers employees up to $1,000 to cover last-minute child care expenses. We both were able to jet-set for our jobs, while Grandma saved the day by flying to Washington, D.C. to watch our kids. Emergency dependent care is just one of many employee benefits that have helped my family. Now, I’ll explain more benefits some employers offer their staff and how to maximize them for your family. After reading this, see if your job offers any of these benefits and use them to your advantage. Health care, by far, is the best benefit employers offer their employees. The cost of medical care continues to rise in the United States and medical insurance can be extremely expensive. Employers provide health benefits because of the major tax incentives they receive and because it keeps their workforce healthy. However, outside of health insurance, some companies offer extra incentives to encourage you to live a healthy lifestyle. My husband’s job has a Be Well, Work Well program. They give employees gift cards and prizes for exercising, getting annual check-ups, and using wearable technology like a Fitbit, or kicking a bad habit like smoking. Now we are getting prizes and compensation for doing the healthy things we should do anyway. My job does not offer this program but they do offer free exercises classes like yoga and Zumba, and provide space for organized groups to run, walk, or weight train together. In addition, I have access to a health savings account, which is very valuable. I get to put income aside pre-tax for future health care expenses. Then when I pay medical expenses I am reimbursed. The cash back I receive is all tax-free. My health savings account has many benefits. It lowers my annual taxable income and therefore, saves me taxes. I strongly believe you should have life insurance outside of your job so you know your family is protected regardless of how long you stay employed. However, it can be hard to afford a personal insurance policy. If this is the case, consider taking advantage of the group term life insurance policy your job may offer. Even if you do have your own life insurance policy, consider keeping the basic policy anyway. You can designate the proceeds from that policy to a charity or add it to what your family inherits if you die. The amount you pay for this insurance is almost always significantly lower than what you would pay for a personal life insurance policy. You may even get free coverage for a smaller amount. Group insurance policies can be cheaper than a personal policy because they are covering several employees. Companies are also given tax breaks to offer this discounted coverage to their employees. Group insurance offered by your job could include more than just life insurance. They may also offer disability insurance and long-term care insurance as well. Long-term care insurance is insurance that covers elderly care expenses, such as the cost of nursing home care or in-home care. The money you receive from this insurance to pay your medical expenses is not taxable. This type of insurance can help ensure a comfortable retirement if you run into health or mobility issues in your golden years. The Disability insurance offered by an employer is to ensure you have some income in the event you are temporarily unable to perform the duties of your job due to injury or an accident. The time frame for this insurance to cover some of your expenses is normally three to six months, but not more than a year. If you require income for longer than a year or if your injury makes you permanently unable to do your job, you may qualify for full disability benefits through the Social Security Administration. Some states give companies tax breaks if they provide you with other benefits such as transportation subsidies or education assistance. A transportation benefits program helps lower your commute costs and ensures you can get to work. You may be able to get your commute costs paid up front, reimbursed, or receive a tax benefit for your commute costs. My job only offers up to $193 towards public transportation costs, but some employers may also pay up to $255 per month for employee parking, or up to $255 per month for vanpool transportation or mass transit passes for those employees who don’t drive to work. 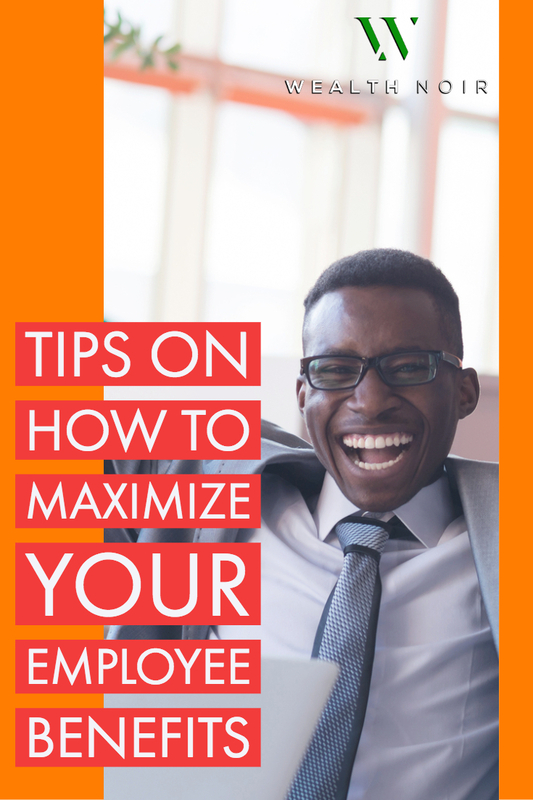 Education assistance can increase your overall productivity and value to the company. It may even make you more marketable if you acquire a new degree or certification. Employers may pay employees up to $5,250 tax-free each year for educational expenses such as tuition, fees, and books. Legal Services can sometimes be obtained for free or cheap using your employee benefits. Employers obtain them through corporate partnerships or legal insurance plans. This benefit can help you accomplish a few tasks such as write a will, fight a legal matter (like a speeding ticket), or sell a property. By helping you quickly resolve your legal matters, you can focus more on your work. My husband and I used his employer offered legal services to do all of our estate planning. We were able to establish wills, a special needs trust, medical directives, powers of attorney, and update the deed of our home so our estate can avoid probate court. My husband pays less than $10 a paycheck for legal services. For us, the lawyer consultations, will, and filing of the paperwork was absolutely free. We only paid for the special needs trust because it was an additional service not required by most clients. And even that fee was half what other attorneys requested when I was gathering quotes. Credit Unions offer many benefits that people underestimate. Credit unions are not-for-profit membership cooperatives that provide financial services. Because credit unions are cooperatives, they can provide their members with lower credit card interest rates, better car and mortgage loan rates, and personalized service. They also tend to have lower or no monthly fees, making it cheaper to manage your money. My job has one of the best credit unions and membership is only one dollar. That dollar gives you access to their ATM network so you can avoid ATM fees, a mortgage program that gives you cash back at the closing table, and free credit repair services. These unions can also be a great place to keep an emergency fund. Their goal is to help their members accomplish their financial goals and provide education as well. Therefore, my credit union also offers free educational seminars so you can learn how to handle your finances, best invest your retirement assets and more. For those who have difficulty getting approved for loans or credit at major banks, you should see if your job’ has a credit union. This could be the place that gives you an opportunity to establish credit or rebuild your financial history. 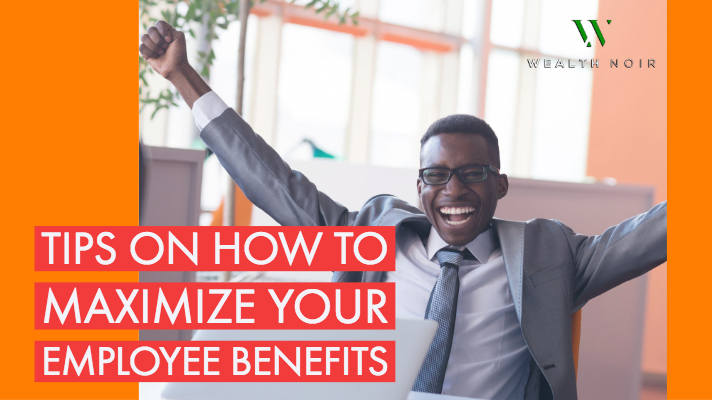 Make sure you are familiar with all your employee benefits and start saving yourself money. Sometimes, to qualify for benefits you may need to get off probation if you are a new hire, or enroll during open season. Do your research and never leave free money on the table. What benefits does your job offer? Share your story by leaving a comment. And if you haven’t, join the Wealth Noir Community today!